They aren’t called Monster cables for no reason. Monster provide the very best cables for delivering bandwidth to your home entertainment systems, Internet devices, and gaming machines. Monster gold-plated connectors can be used to speed up your charging, boost your Internet data signal, and decrease the time it takes to transfer your photos, music and files. So, don’t let your cables be the weakest link in your system, enhance poor digital reception with our range of heavy-duty aerial cables, and improve sound quality with these durable cables. Monster cables are tailored towards those who want to optimise their audio and visual experiences. Designed by experts, the brand is known for its rigorous testing process to make sure its products stand up to the demands placed on them. Monster HDMI cables reduce digital loss and ensure optimal image resolution. 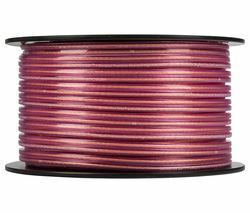 Our Monster cable range is diverse, and is packed with cables of various lengths. If you're serious about your home movie experiences, then Monster cables are what you need. 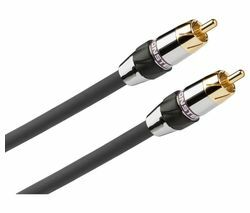 Our range of audio cables has something to suit every need and budget, and our selection of HDMI cables will make your home cinema systems impress your guests every time.